ORTECH have been leaders in Natural Gas Testing and Analytical Laboratory Services for over 30 years. Ambient Air Quality Monitoring Analysis. The heating value and other properties of fuel gases, such as natural gas and biogas, can vary significantly with time and both gas suppliers and their customers may need to know the heating value of a supply on a periodic, such as monthly, or on a spot basis. ORTECH provides a heating value and natural gas property determination service to a number of our clients and is certified separately by Measurement Canada to carry out these determinations on both natural gas and biogas. These determinations require the analysis of methane in a sample but also the composition including analysis of fixed gases and trace amounts of other hydrocarbons which may contribute to the overall heating value. Generally, Gas Producers Association and ASTM methods are used. Heating values, gas composition and the physical properties of landfill gas and biogas are determined in the same way as they are for natural gas, although these gases primarily contain methane, carbon dioxide and air compared with natural gas which is principally methane. ORTECH can also conduct extensive field or laboratory sampling and analysis of these gases for all types of contaminants both before and after combustion. 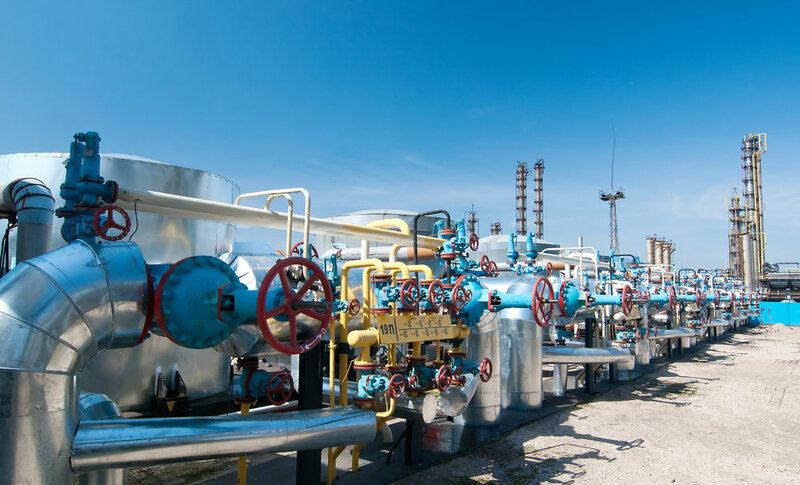 In addition to determining the heating value of natural gas based on the analysis of fixed gases and hydrocarbons, ORTECH can determine the physical properties such as moisture content, sample pressure, air contamination, density, specific gravity, Wobbe Index, gas compressibility and condensation temperatures. Additional analyses of contaminants in the natural gas which may affect pipeline distribution, pipeline corrosion, deterioration of combustion equipment and combustion characteristics include reduced sulfur compound odorants, particulate matter, metals, siloxanes and condensable organic material. The analysis for specific organic chemicals enables the condensation dew point to be calculated. ORTECH specializes in the sampling and analysis of fixed gases (oxygen, carbon dioxide, carbon monoxide, nitrogen, permanent gases and moisture primarily) in a variety of processes and products. Examples are the assessment of consumer products such gas detectors and the analysis of off-gassing samples. Another example is the continuous field sampling and analysis of these gases from combustion sources at industrial facilities, coal-fired generating stations, incinerators, cement plant and steel works. These programs may also include sampling and analysis of related gases such as sulfur dioxide, hydrocarbons and nitrogen oxides as well as the certification of plant analyzers used for greenhouse gas monitoring and reporting. With increasing emphasis on the use of biomass as both a source of energy and as a nutrient such as the application of manure on agricultural fields, regulations require that the biomass is sampled and analyzed before it is used. These analyses may include an odour evaluation to determine the odour release potential or analysis for specific hazardous contaminants such as metals and pathogens. ORTECH has the expertise to collect biomass samples based on standard protocols and manage the required analytical programs either in their own laboratories or in laboratories which have expertise with specific contaminants. ORTECH has extensive experience in the collection of natural gas, landfill gas and biogas field samples for analysis. This includes sampling at high pressure gas mains which enter facilities such as industrial plant and gas turbine generating stations. These facilities require strict adherence to safety procedures and a thorough knowledge of how the samples should be collected based on the analyses required. If preferred, ORTECH can provide the equipment and training to allow staff at the facility to collect and ship the samples to ORTECH for analysis. Reduced sulfur compounds are frequently responsible for odour complaints from facilities such as sewage treatment plants, steel works, pulp & paper mills, and composting. Some of these compounds are added to natural gas, which otherwise has no odour, so that dangerous leaks can be detected by odour. For each of these situations ORTECH can collect air samples and analyze them in the laboratory for a series of reduced sulfur compounds which include hydrogen sulfide, carbon disulfide, mercaptans, organic sulfides and thiophenes. Portable field analyzers for hydrogen sulfide analysis are also available. In many cases the emissions of reduced sulfur compounds can be correlated with odour emissions and the potential for odour complaints assessed. Biogas/BioEnergy Project? Need technical services? ORTECH can help! ORTECH provides specific technical services to the Renewable Natural Gas ("RNG") or BioEnergy industry. Our deep understanding of emissions and odours, our extensive experience with regulatory compliance, either through the REA or Environmental Compliance Approval ("ECA") process, over 30 years of experience working directly with Waste to Energy ("WTE"), Waste Water Treatment Plants ("WWTP") and Biogas/Biomass developers makes us the ideal partner. This core experience is all internal. ORTECH will outsource select specialty services such as noise, natural heritage, archeological and cultural heritage and has a long working history with practitioners selected for projects. Click here for ORTECH's experience. ORTECH’s experience goes well beyond completing the REA process for three (3) biogas facilities. Our deep understanding of emissions and odours, our extensive experience with regulatory compliance, either through the REA or Environmental Compliance Approval (ECA) process, over 30 years of experience working directly with Waste to Energy (WTE) or Waste Water Treatment Plants (WWTP) makes us the ideal partner. This core experience is all internal. ORTECH will outsource select specialty services such as noise, natural heritage, archeological and cultural heritage and has a long working history with practitioners selected for this project. Grimsby Energy Inc.: ORTECH developed and prepared an Emission Summary and Dispersion Modelling (ESDM) Report for a RNG or biogas anaerobic digester which produces electrical power through reciprocating internal combustion engines using farm crop, livestock and zoo animal wastes. The ESDM Report was submitted as part of Renewable Energy Approval (REA) applications for Environmental Compliance Approval (ECA). ZooShare Biogas Co-operative Inc.: ORTECH developed and prepared an Emission Summary and Dispersion Modelling (ESDM) Report for a RNG or biogas anaerobic digester which produces electrical power through reciprocating internal combustion engines. The ESDM Report was submitted as part of a Renewable Energy Approval (REA) application for an Environmental Compliance Approval (ECA). Independent Electricity System Operator (IESO): ORTECH performed commercial operation date audits for the 8 facilities in the RNG or biogas category. These audits were performed on behalf of the IESO to determine if the facility was constructed as per the REA and Feed-in-Tariff (FIT) contact. ORTECH has performed over 325 audits for the IESO across all renewable energy categories. For over 30 years, ORTECH has been offering emission testing, odour testing, emissions estimating and dispersion modelling and analytical laboratory services to WWTP, incinerators and WTE facilities in Canada. ORTECH also provides RNG or biogas and natural gas analytical services including but not limited to heating value and sulphur content. Other examples of relevant ORTECH clients in various air quality services are provided below. Water Quality Monitoring? We have that covered! ORTECH has the experience, expertise and resources to design, implement and operate cost effective monitoring programs for the continuous measurement of volatile organic compounds in aqueous streams. ORTECH can tailor monitoring systems for municipalities where water quality issues are of concern due to various reasons. ORTECH has a great deal of experience with providing continuous measurement of industrial process streams (i.e. cooling water, effluent). Systems can range from TOC measurement to specialized systems capable of sub-ppb analysis. Currently, ORTECH is managing 3 water monitoring systems including the Sarnia Lambton Environmental Associations system in Sarnia, ON.